As you enter this lovely modern three bedroom home, you are struck with an absolutely adoring open living and dining space with a mahogany finish kitchen and granite tops with a separate scullery. The scullery opens to the backyard with an extra outdoor basin. The TV/Family room flows through a sliding door to the lovely 60.4 m² braai room. This area is perfect for entertainment and gives access to the well maintained, established lush garden and open patio through another sliding door. The property further features three sizeable bedrooms with a luxurious full bathroom and an en-suite bathroom in the main bedroom. All three bedrooms are fitted with Built-in cupboards and carpets. The large erf creates a stand for potential expansion with a study room on plan with the option to be built on later. Double Garage with a laundry point in the garage and direct access into the kitchen. Double shade net carport in front of the garage that is secure behind the automated gate. Security is top priority with a border wall in front, burglar bars and security doors with all exterior doors and windows, 24 hr Alarm response and neighbourhood watch. 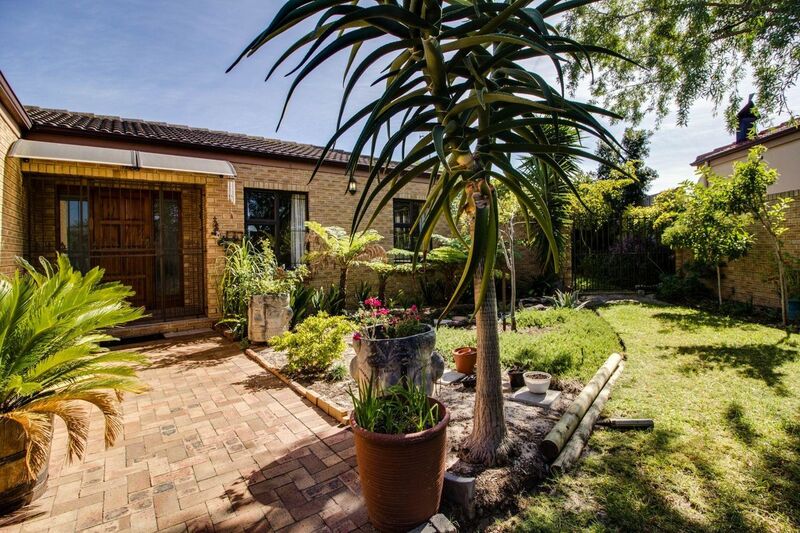 Perfectly located in a quiet sought after neighbourhood close to nearby Schools, daycare and easy access to main roads; Bottelary Road to Stellenbosch and Kuils River to the R300 and N1. 60.4m² Braai room with a Built-in Braai, Well-Point, Security Gates, Burglar Bars and Alarm system.